The first “virtual vs real” race to be held at legendary motor racing venue, Goodwood, ends in narrow victory for the real-life new Focus ST ahead of its virtual counterpart. The New Ford Focus ST notched up a first victory hours after making its global debut – by winning a unique “virtual vs real” race. The new model went head-to-head against a virtual Focus ST after Ford and Sony Computer Entertainment staged the first such race on the world-famous hill climb at the Goodwood Festival of Speed. 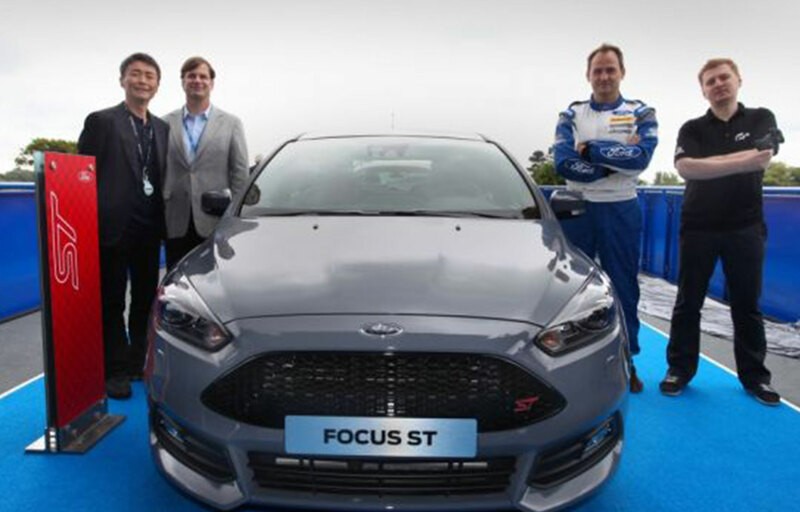 Driven by Ben Collins, TV’s “the former Stig”, the real new Focus ST completed the 1.86 kilometre (1.16 mile) hill climb just ahead of gamer Krisztian Somodi tackling the same course simultaneously on a Gran Turismo®6 PlayStation®3 simulator. 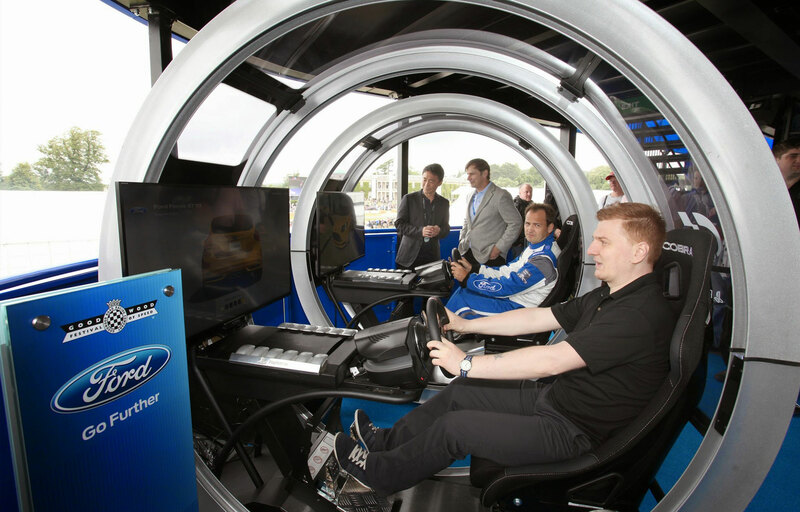 The race was shown live on giant screens to an audience of tens of thousands at the festival, with visitors later able to set their own time on Gran Turismo 6 simulators on the Ford stand, where the first diesel-powered version of the new Focus ST was revealed by Jim Farley, Ford executive vice president, Global Marketing, Sales and Service and Lincoln, and the famous creator of Gran Turismo®, Kazunori Yamauchi. The game replicated the conditions and features on the day itself as closely as possible – right down to the tyres. That attention to detail made for a tight contest with the real Focus ST posting a time of 1.05:13, with the virtual model only a tenth of a second behind, covering the climb in 1.05.23. You can see more images from Goodwood and the race here. Follow this link for further videos, images and a full press release on the new Focus ST that delivers new chassis control technologies, re-tuned suspension and steering to help deliver a driving experience that is even more responsive, balanced and refined. Find out more about the Focus ST.